So you’ve finally discovered the many benefits of cannabis based on scientific data and now want to learn how to pack a pipe. That is, if smoking it is your preferred method of consumption. Don’t worry because it’s not as complicated as you may think. You only need a few tools and of course, your pipe. Before we go any further, first make sure that it is legal to smoke weed or marijuana where you are located. This guide on how to grow a weed plant shares a lot of information about the legality of the plant as well as its many scientific benefits. It will help you become more aware of the research that has been done so far and how you can grow it on your own if you are allowed to in your home. There are many ways to healthily consume this wonder plant. 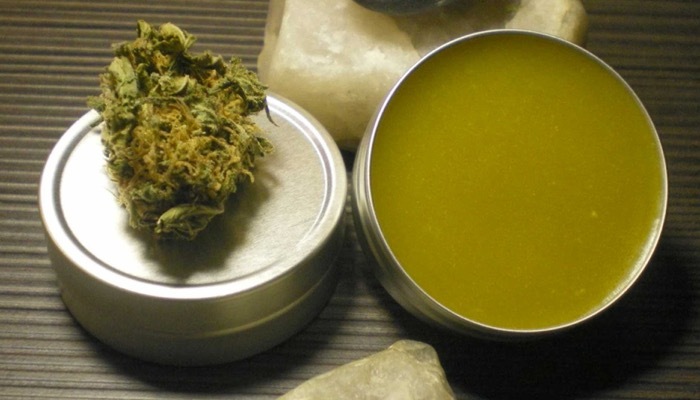 Aside from just learning how to pack a pipe and smoking it, you can also mix it in your food and even apply it to affected areas where you need healing. In different studies, it has shown that cannabis also helps relieves arthritis. It relieves pain and inflammation and some people apply it as an oil. It’s amazing how this powerful plant such ailments. The great thing is that aside from its common uses, there are continuing studies that prove how it can help the more serious conditions. Some of them are cancer, Multiple Sclerosis, and even the disability ADHD or attention deficit hyperactivity disorder. 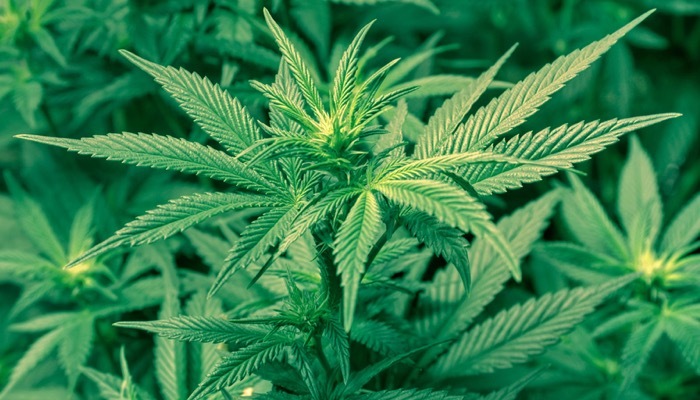 Here’s more about the illnesses you didn’t know marijuana can cure. So let’s take a look at some other ways you can consume cannabis aside from smoking it when you pack a pipe. Yes, there is a healthy way to eat it aside from just smoking it when you pack a pipe. It is one of the best alternatives to smoking. You can consume cannabis infused food and drinks. 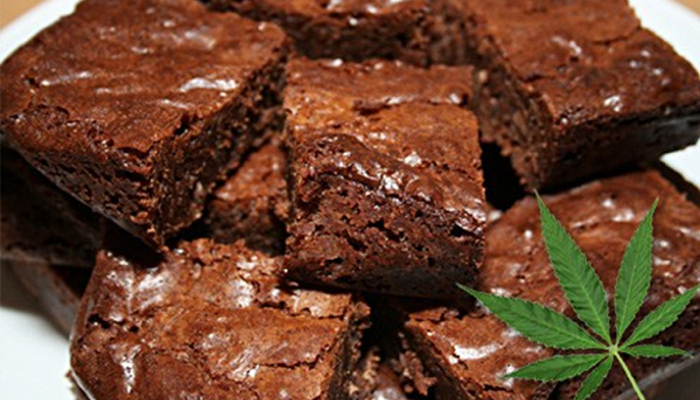 There is a wide variety of marijuana edibles and it’s continuously expanding. You can even make some at home. You can do lemonade, garlic crackers, and the ever famous brownies. Just be cautious about the dosage and don’t overdo it. There are also lotions and balms that you can apply directly to your skin for relief of pain, soreness and inflammation. 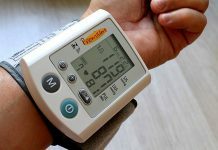 Its unique property is that it can treat symptoms without producing psychoactive effects. That means you will not get any of the euphoric highs. It’s a great substitute for times when you prefer not to pack a pipe. 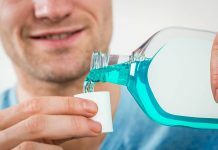 You can also use liquids that extract cannabis compounds with an alcohol soak and apply it directly under your tongue. These are tinctures. They enter the bloodstream immediately to produce fast-acting effects. You will also have better dosing control. There’s a wide variety of these according to your medical needs which are a suitable alternative to when you pack a pipe and smoke it. There is also dabbing which is a method of flash vaporization where you drop cannabis concentrate on a heated water pipe. You will inhale it and it will have potent effects. It usually has a glass or metallic attachment that you heat using a butane torch. It produces vapor instead of smoke when you pack a pipe. Cannabis also comes in capsules and are taken orally. It has powerful effects that may take a while to kick in. Now that you know your alternatives aside from smoking and you still decide to use pipes, you must learn how to pack a pipe. Note that you can also smoke it in other ways like by rolling a joint. But a pipe is a good tool and it will also prevent wasting your weed. The first thing you need to prepare is a suitable pipe. Generally, you can use any pipe even the regular ones used for tobacco. But there are special ones that are specifically for marijuana. As long as it has a deep enough bowl where you can pack your herbs and the mouthpiece, you’re good to go. There are different materials of pipes. Some are wood, bamboo or ceramic. Today, a lot of them are made from borosilicate glass which is very versatile. Now that you have your pipe ready, you will need to prepare your heating element to light and pack a pipe. The most common of this is, of course, the very basic lighter. Butane lighters also work well but other smokers also use hemp wick, which is great if you don’t want to have any aftertaste or a glass wand. You must make sure that you break down your weed to maximize airflow and deliver an even smoke when you pack a pipe. This way, the smoke can pass through evenly. 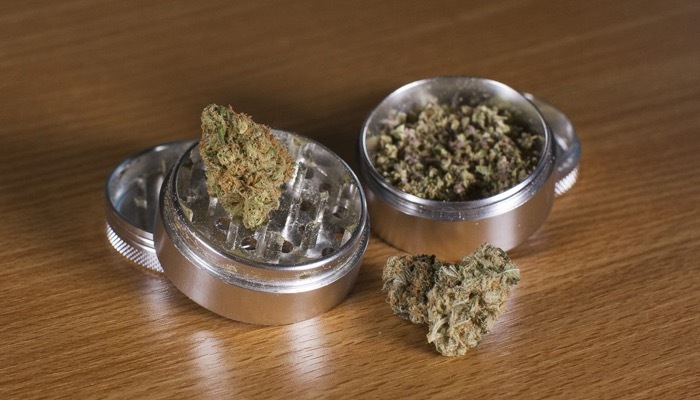 You can hand pull your herb or use grinders to make it easier. But don’t ground it too finely or there will be nothing left to light. Using a stem or an appropriate size of the calyx, stuff your herb at the very bottom of your bowl. This is the essential step of how to pack a pipe. It will prevent particulates from passing through. Once the herb is in the bowl, pack it very lightly at the bottom but denser at the top to create an even smoke. It will allow your weed on the top to maintain the burn while it opens airflow so it’s easy to inhale without any clogging. Now that you’ve learned how to pack a pipe properly, you may proceed to light it. Do not allow the flames to light it too long. Just hold out your lighter or heating element to the top and wait for it to burn or flame up, then immediately puff it. The smoke may die out after some time so you might have to do this a few times while you smoke. 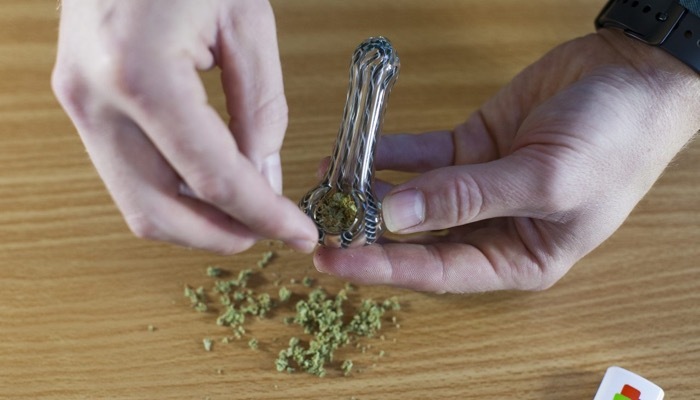 Learning how to pack a pipe and how to smoke marijuana is a great way to start you off on your new journey whether it’s for medicinal or recreational use. Just make sure to check our reference to see if it’s legal in your location.